Support - Vehicle. Cost: 6. - Discard a support from play. 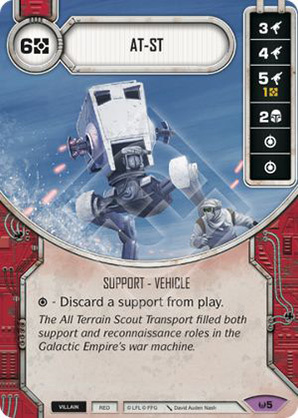 The All Terrain Scout Transport filled both support and reconnaissance roles in the Galactic Empire's war machine.